Technically, bitcoins do not have a physical form or are stored in a single location. There are only transactions which are stored on the blockchain. However, a bitcoin wallet can be defined as a software where the cryptocurrency is stored. It contains private and public keys. Access to these keys will allow users to send or receive funds. Currently, there are several types of bitcoin wallets available that provide different levels of security and ease of use. 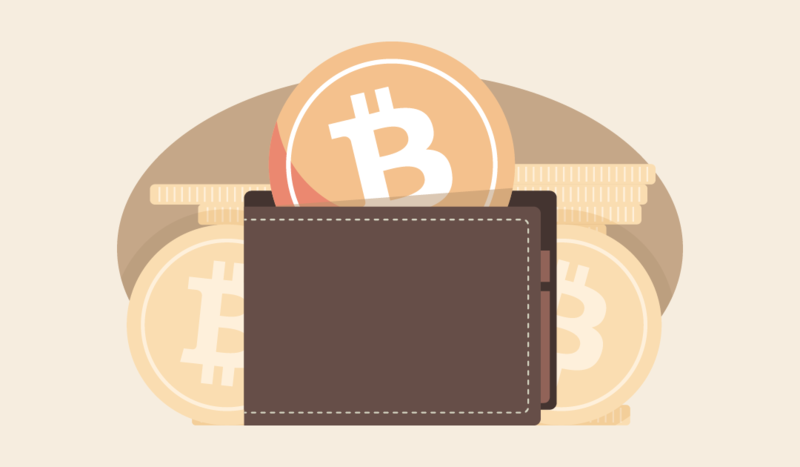 Wallets are part of the new innovations that came with cryptocurrencies. They are one example of the successful application of blockchain technology. Private and public keys are cryptographic codes composed of a long string of alphanumeric characters. In simple terms, what defines the ownership of any amount of bitcoin is having its corresponding private keys, so they should be stored securely. Some wallets, which we will discussed later on, allow users to send bitcoin without the need of having access to private keys, but some security concerns might arise. On the other hand, public keys are a hashed version of a bitcoin wallet address and are required to receive funds. Cold storage wallets are not connected to the internet. Offline wallets are preferred because chances of being vulnerable to cyber attacks or any form of unauthorized access to funds are reduced. Conversely, hot wallets are connected to the internet and subject to vulnerabilities. Although securities concerns exist, some users prefer to use hot wallets over cold storage to simplify transactions processes. They run on your laptop or desktop computer. Most of them are easy to operate and install, but some will require you to download a copy of the bitcoin blockchain which will take over 100 gigabytes of hard drive space. Some might store private keys on your device. If your device is lost or damaged funds will be lost. Therefore, user must make sure precautions are taken to avoid any losses. This are regarded as the safest form of wallet by many users and experts in the crypto community. Hardware wallets are designed to stored private keys securely. Depending on the manufacturer and model of the hardware wallet, funds are only accessible when the device is connected to a computer. At this time, hardware wallets cost between $50 and $200. These wallets are mobile applications that run on your phone and are compatible with different Smartphone operating systems. They provide convenience to cryptocurrency users and are great to make bitcoin payments on retail stores, send payments to your friends and family, or to trade bitcoin using a Bitcoin ATM. This form of wallet is accessible using any form of web browser and probably the easiest to use. Some of these wallets store private keys online making them susceptible to cyber hacks. The funds security depends on the site’s infrastructure and practices. Mostly, web wallets won’t provide private keys to the owner of the funds. Paper wallets are printed on a piece of paper and contain both private and public keys. The cryptocurrency community has opposing views about their use. Some argue that they are the safest from of wallet because they are not connected to the internet. While others, regard them as obsolete and do not recommend their use because printers will store the private keys, they could be easily destroyed, and other negative factors.